Fresholi Bites: Bye to the Noughties!! This is a very quick post to wish each and every one of you a most fantastic, healthy, happy and wonderful new year. I would also like to say a very big thank you to everyone that has supported the site; customers, contributors, forum members and visitors. A very big thank you to those that visit the blog, followers and, of course, those that interact with comments. Thank you so much. May 2010 be a peaceful and lovely new year. P.S. 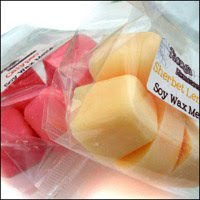 Kevin from Taonga Jewellery & Homescents has just submitted Part 2 of his tutorials on Making Wax Melts and Candles. Thank you so much Kevin for your generosity and willingness to share your knowledge. Wishing you and your family all the very best for 2010! Wishing everyone a great 2010! Hope this is a very succesful year for us all! I'm trying to click the link for the tutorial and it's saying I can't access it but I'm already a member of the site. Do you have any other information? Happy New Year! And much success.